Send, receive, and forward messages that carry data to communicate between Stateflow® charts. Messages are queued until the receiving chart can process them. View the lifeline of messages in the Sequence Viewer block. Synchronize model components and share data by sending messages between Stateflow charts. Specify message properties by using the Property Inspector or the Model Explorer. 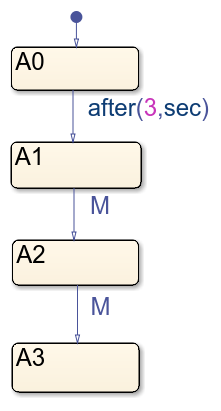 Send, receive, discard, or forward a Stateflow message. Communicate between charts by using messages with string payloads. Model a distributed control system for an intersection of one-way roads. 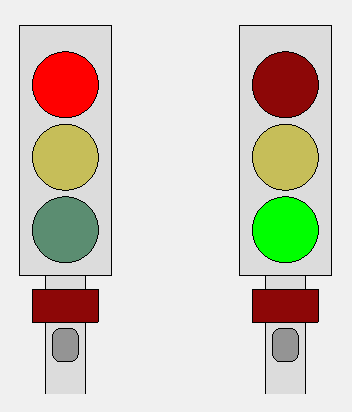 To coordinate the state of the traffic lights, the two charts communicate with each other by using messages. The design of the two charts is identical.